Step into a padded Sumo suit and experience 3 times your mass. A referee starts the match and the two competitors push, pull, trip and grab their opponent in an attempt to bring them to the ground. 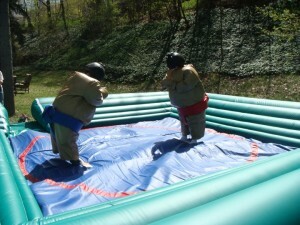 We have the safest and most fun Sumo Wrestling set in the state! 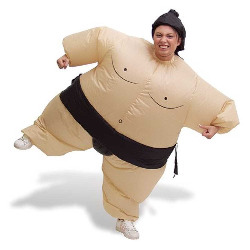 Includes sumo suits, head protection, padded wrestling mat and inflatable sumo safety ring. Weight limit - no more than 200lbs. Height restriction of 5ft to 6ft 4in. Requires Game Craze staff to be on site during use.